Emily Wanja is a producer/ actress. She started her career as a stage actress, before moving on to star in 9 seasons of the TV series ‘Makutano Junction’ as a main actress, KONA an M-­‐NET Africa Magic soap opera and co-­‐hosted 60 episodes of ‘The Know Zone’ a children TV programme. She has been involved in most aspects of filmmaking both in front and behind the camera. This has seen her become one of the most sort after drama editors in Kenya. Emily has produced several films including the short film ‘Burnt Forest,’ a co-­‐production between USA, Singapore and Kenya that was nominated for Best short film at the 2013 Africa Academy Movie Awards (AMAA) and the documentary, ‘Give me Back my Home’ also nominated for Best documentary in the same awards. She was executive producer for ‘Resurrect’, screened at the short films corner in 2009 Cannes film festival. She is the producer of ‘CHOSEN’ a TV series in early pre production, ‘THE SMART FARMER’ a TV show in development and ‘TRAVEL & SEE’ a TV show in production for Ebru TV. She is the producer of ‘VALENTINE ya Njaramba’ the first local language film comedy to be screened in Kenyan theatres, nominated at the 2011 Kalasha awards in Kenya for best actor. 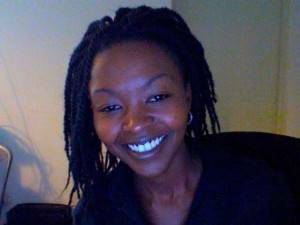 She is in development with ‘WEEP NOT CHILD’, a feature film based on a book by Ngugi wa Thiong’o of the same title.